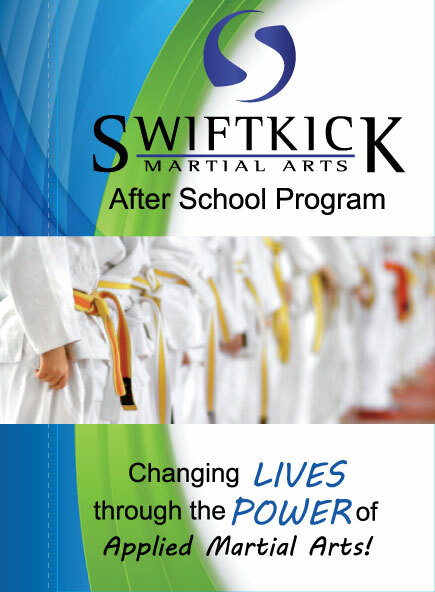 Martial Arts After School Programs In San Diego With SwiftKick Martial Arts! This special session focuses on developing functional boxing skills for self-reservation. Students are taught only to use a physical response for self-defense as a last resort. At the end of the session, your children will have the skills and knowledge of how to respond to many real life situations. Elevated confidence, resulting in less bullying. Improved physical and mental health, providing higher performance level. Increased focus promoting higher academic performance. Improved citizenship, leading to community spirit. Self-control over body and mind, resulting in better decision making.